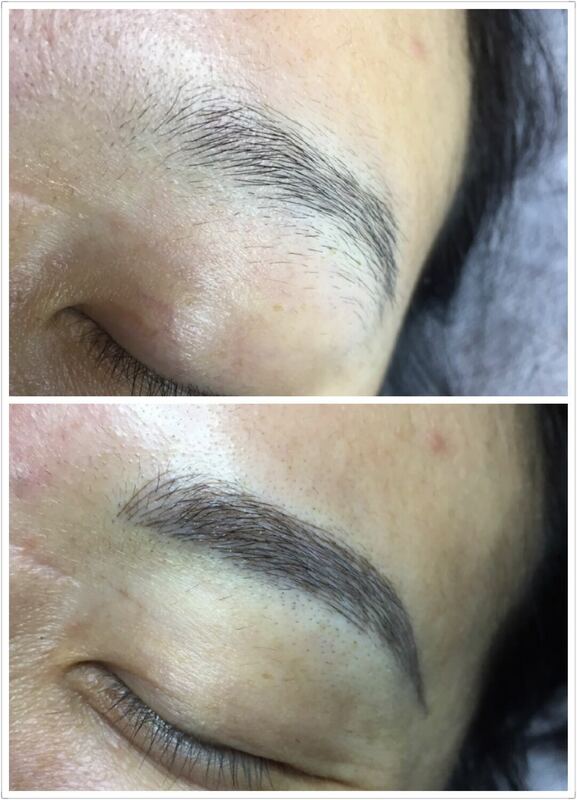 Microblading Best for: Anyone who wants a natural look that lasts. 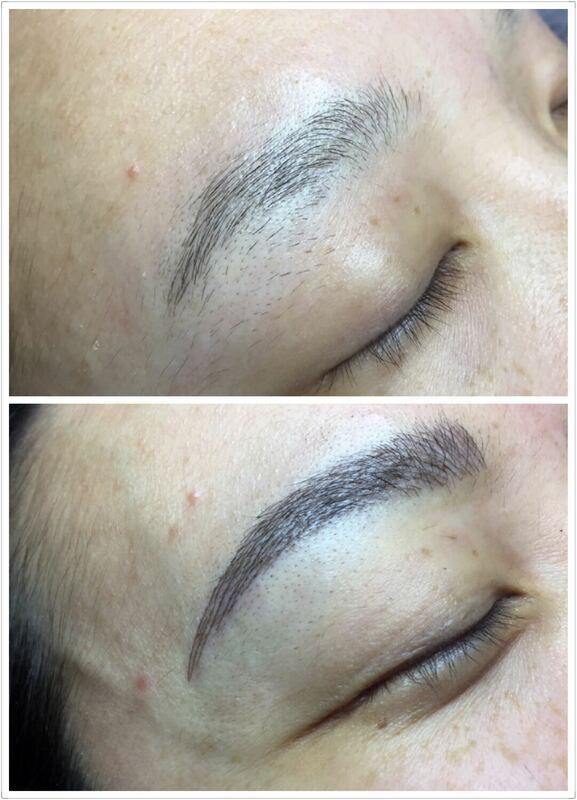 How long microblading lasts: You’ll need a touch-up in about a month (the cost of this is typically budgeted into the fee of the initial service). 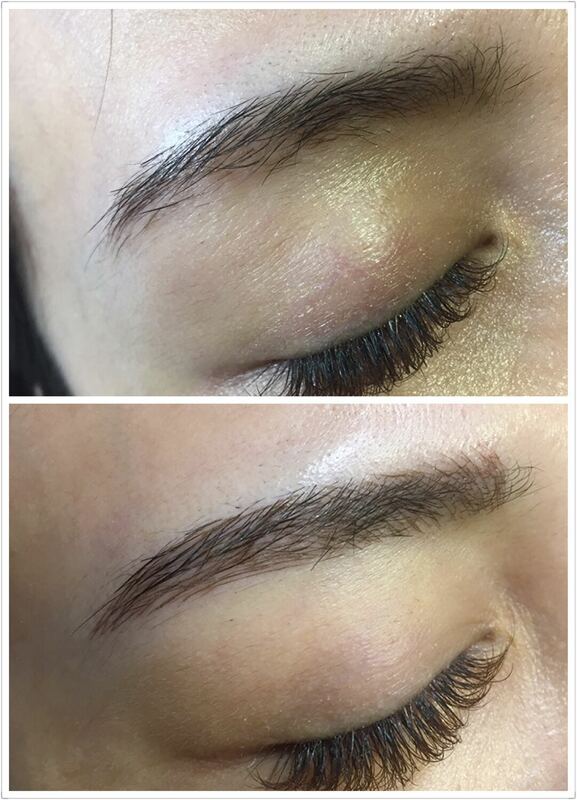 Then, microblading can last anywhere from 12 months to three years, depending on your lifestyle. A few ways to extend it: Stay out of the sun, since it can fade the pigment, and avoid putting exfoliants (like retinol and glycolic acid) near your brows, because they’ll lift the top layers of your skin with continued use—and the color with it. 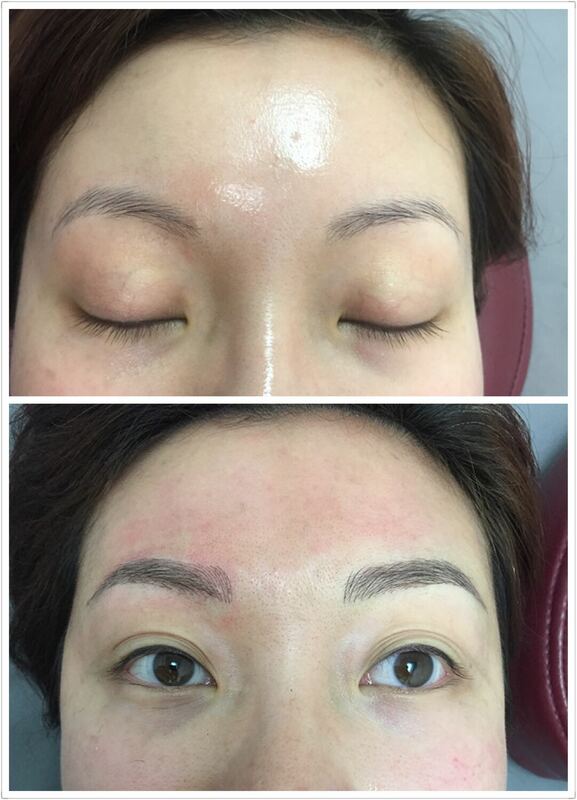 Have you’ve grown tired of waking up sans eyebrows? Do you spend a fortune on eyebrow pencils, powders and brushes and squander hours on defiantly drawing them on each day? 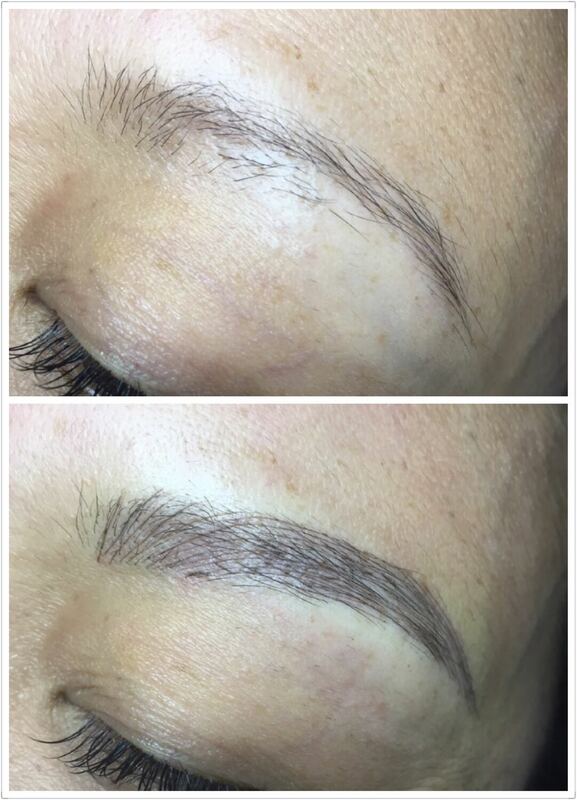 Don’t be a slave to the eyebrow pencil! Give in to the daily dedication! 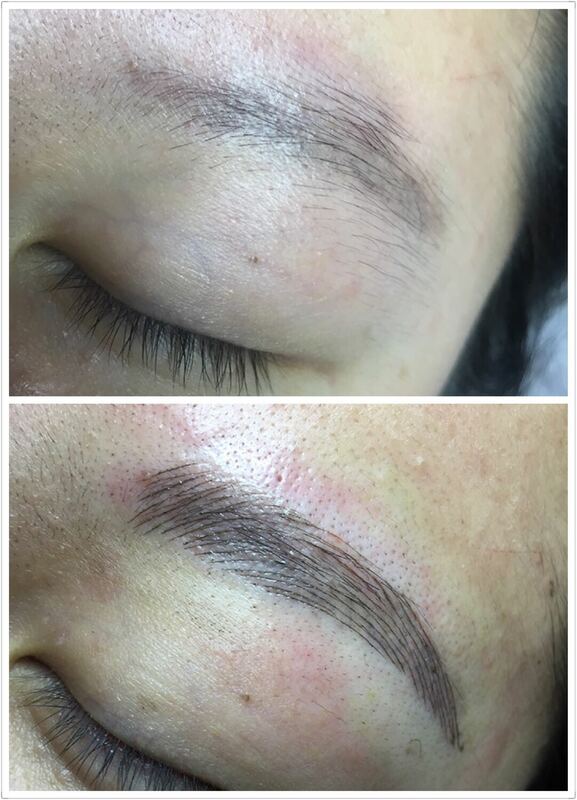 Check out microblading, the latest in the war against non-existent, non-conformist eyebrows. 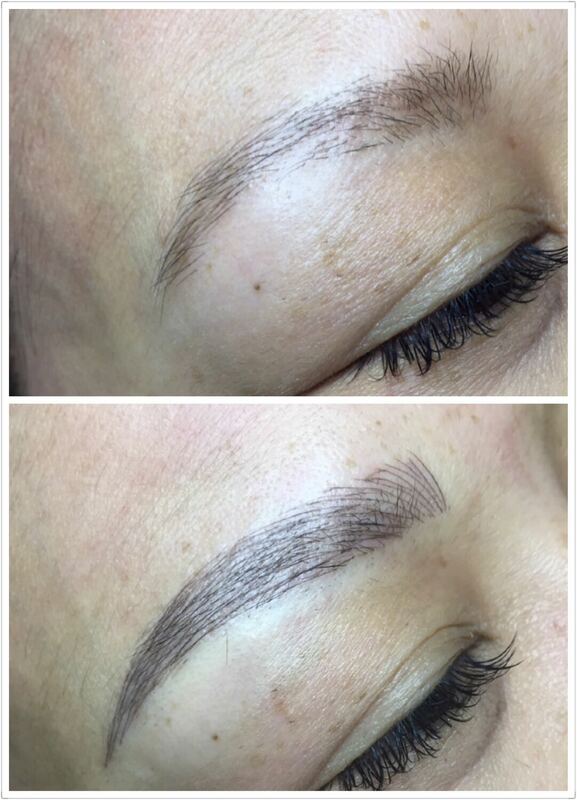 We’ve come a long way in semi-permanent makeup since the early days. Today, it’s a much more delicate affair, with much more natural results. 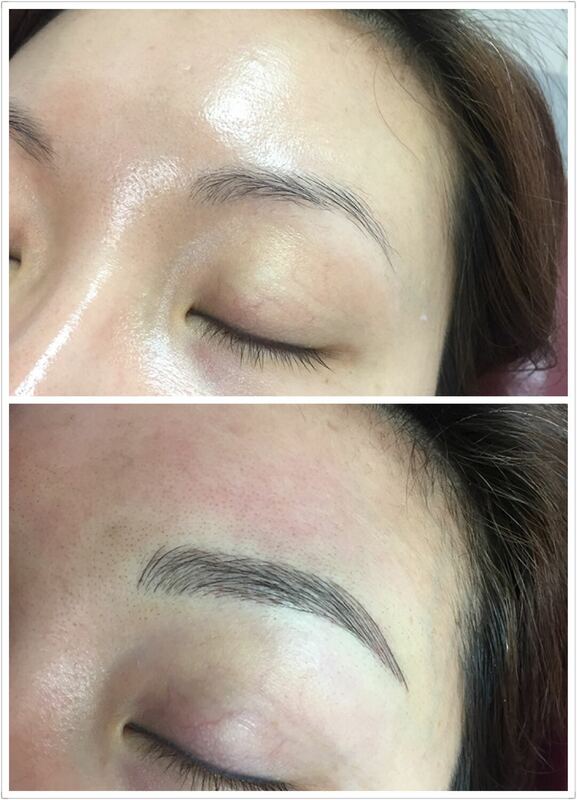 In fact, microblading is also rather beautifully known as ‘eyebrow embroidery’. Our eyebrows are important. They define our look and give our face a frame. It’s little wonder so many of us deem making them perfect, so important. So, onto the process. I say ‘tattooed’ in inverted commas, because the actual tool used is less tattoo needle, more extremely fine, scalpel-like blade. Which sounds terrifying, but really, it isn’t. We use a numbing cream beforehand, and all you’ll feel is a mild ‘scraping’ or dragging feeling. The initial result will appear slightly darker than you expected, so don’t be alarmed. Over a week or so, the ‘tattoo’ will form a scab as it heals. Once this falls off (don’t pick it!) the colour will be the perfect shade that you chose. And the final effect isn’t like the ‘coloured in’ eyebrow of yesteryear. Instead expect super-fine lines that have the appearance of actual hairs, in the perfect shape, and colour, for your face and skin tone. The ink isn’t added as deep below the skin as a traditional tattoo, meaning that it does eventually fade but not for 12-18 months. 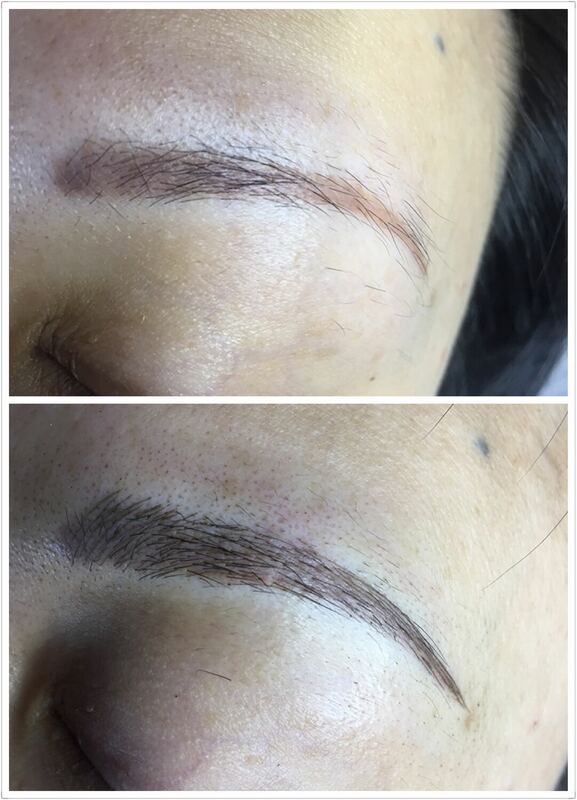 Which is a good thing, because as we age, our face changes shape, and therefore, so should our eyebrows. You can have them topped up every six months or so. 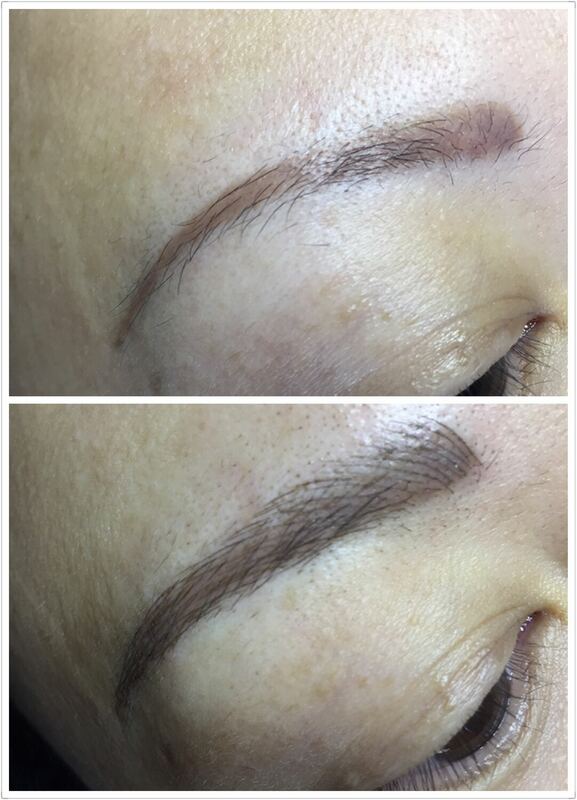 Our microblading specialists are passionate about giving you the eyebrows you deserve. 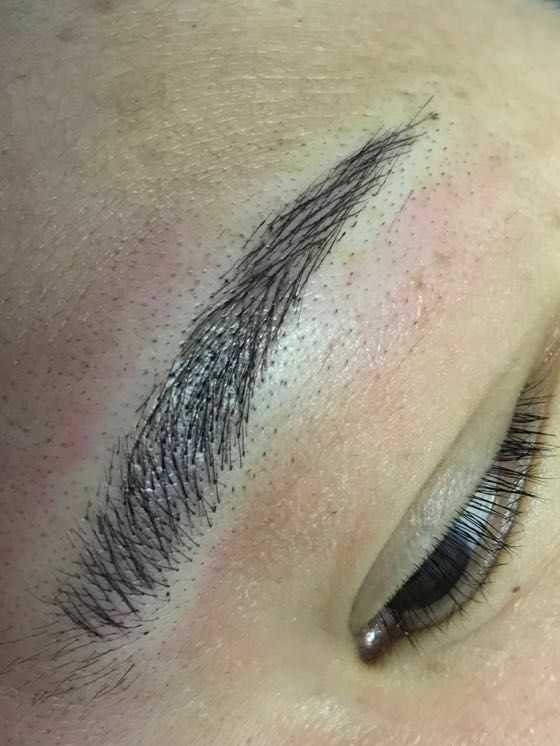 So contact us today, and ditch all that eyebrow time and effort. 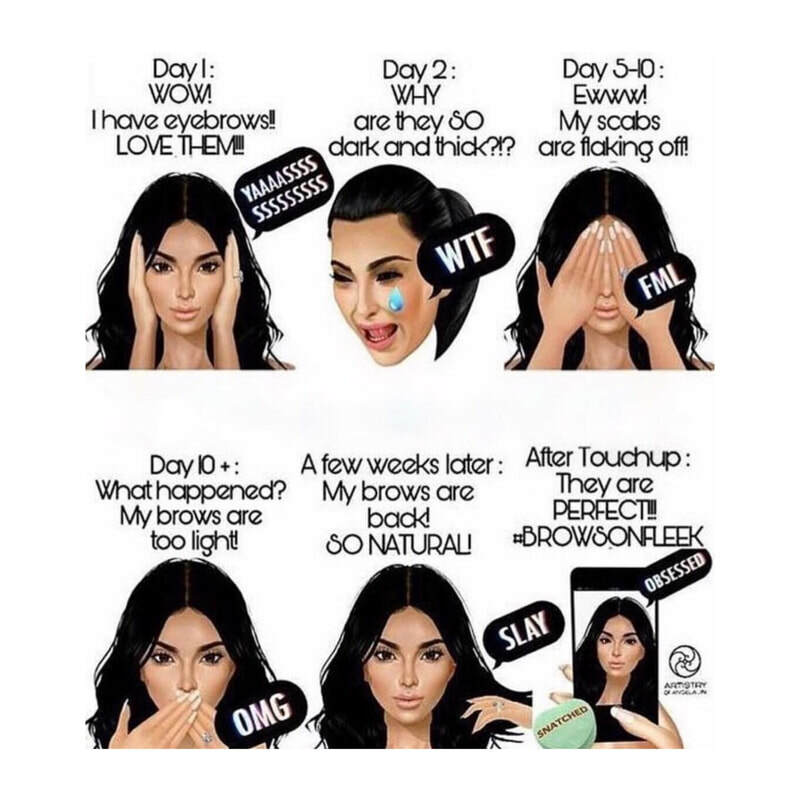 Wake up fully eyebrow-ed every day!